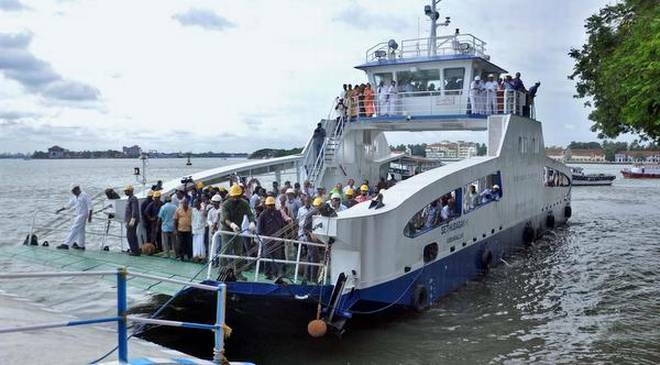 Inland Waterways Authority of India (IWAI) in collaboration with Assam Government has launched new Roll on-Roll off (Ro-Ro) facility connecting Neamati to Manjuli Island in Assam. The Ro-Ro facility will cut down circuitous road route of 423 km that trucks take from Neamati to Majuli Island via Tezpur Road Bridge. It will limit distance between these points to only 12.7 km with use of the river route. For this, IWAI has procured a new vessel "MV Bhupen Hazarika" and is also providing needed terminal infrastructure. The vessel is 46.5-metre-long, 13.3-metre-wide and has a carrying capacity of eight trucks and 100 passengers. It refers to vessels used to carry wheeled cargo like cars, semi-trailer trucks, trucks, trailers, and railroad cars that are driven on (rolled on) and off (rolled off) ferry on their own wheels or using a platform vehicle. Manjuli is world's largest riverine islands located on Brahmaputra River. It has 144 villages with a population of over 1,50,000. The habitants of the island are facing serious challenges of connectivity. They cross the river using conventional ferry service at various locations for their day to day needs. In absence of adequate number of bridges, cargo and passenger movement takes through longer road routes leading to critical loss of time and money. Earlier, IWAI had started similar Ro-Ro service between Dhubri and Hatsingimari which had reduced the travel distance by 190 kms. A permanent Ro-Ro terminal was constructed at Dhubri for the purpose. It has also constructed floating terminals at 11 locations along the length of Brahmaputra waterway. IWAI is a nodal statutory body in charge of development and regulation of inland waterways for shipping and navigation. It was established in October 1986 and is headquartered in Noida, UP. It undertakes projects for development and maintenance of IWT infrastructure on national waterways through the grant received from Ministry of Shipping. 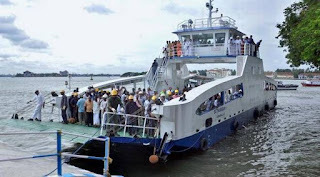 Q. Inland Waterways Authority of India (IWAI) in collaboration with Assam Government has launched which new facility connecting Neamati to Manjuli Island in Assam?